The FTC staff report focuses on ways to enhance license portability at the state level. The 2017 NCSBN Environmental Scan represents a systematic and continuous effort to search for information about how nursing is evolving, and what that means for the future of nursing regulation. A variety of sources have been used to compile this document. Of course, this publication represents a mere snapshot in time of the world around us - both inside and outside of nursing regulation. It was distributed as a supplement to the Journal of Nursing Regulation in January 2017. 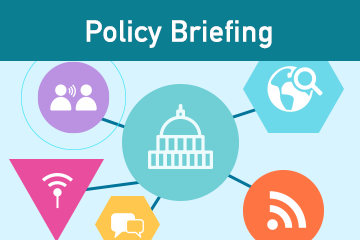 Good Morning Members is a semi-weekly policy briefing containing important news and information in a shortened format designed to keep members current. Contact us with any comments or questions concerning Policy and Government Relations.